Will we soon be reading The Times exclusively on something like this? 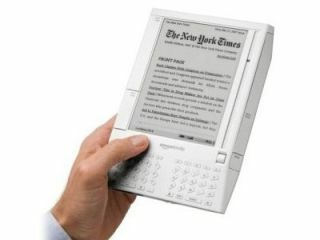 For someone who supposedly "doesn't care about technology" Rupert Murdoch is certainly making a few surprising decisions, including introducing an apparent new e-book reader like the Kindle. Speaking at The Cable Show US TV event, Murdoch revealed that his News Corp company is indeed developing an e-book reader specifically tailored for reading newspapers. Although he gave no details, speculation suggests that the new device will be made by Plastic Logic in California and will arrive some time next year. Murdoch also went on to say that more publishers should charge readers for access to the online versions of their newspapers, just as his own Wall Street Journal already does. He denounced the lack of revenue on news websites, saying: "People reading news for free on the web, that's got to change." Clearly, one way of getting readers to pay for their daily dose of electronic news would be to sell them subscriptions that are delivered to portable e-books. Now, where could this all possibly be heading?